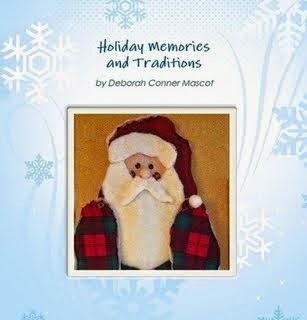 For a few years, I participated in the Geneabloggers' Advent Calendar of Christmas Memories. Last year, I also took photos of my special ornaments and then after Christmas, when all the photo sites had big sales, I put it all in a free (well, I paid shipping and tax) photo book. 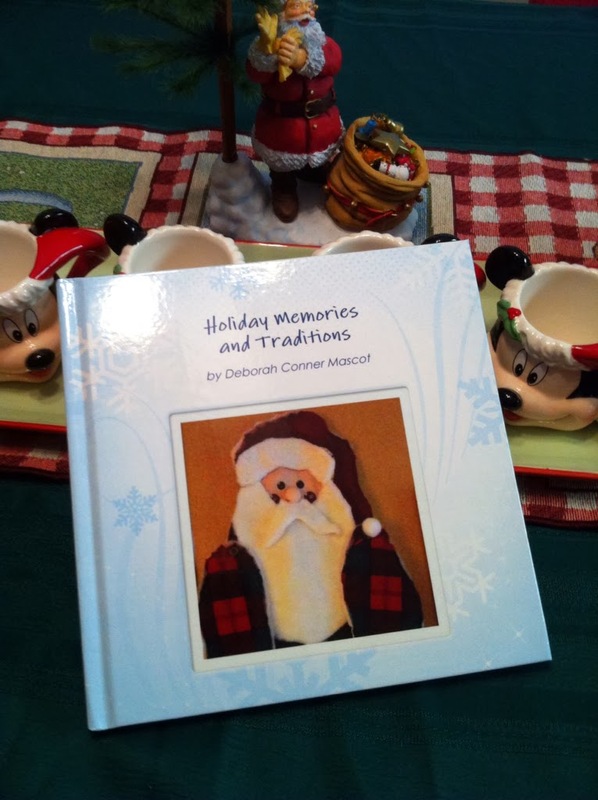 Now my blog posts and holiday memories are recorded. And hopefully my kids will know which ornaments they shouldn't toss, despite the bite marks and cheesiness. I'm on the events committee for CGS making fliers for some of the different functions that we do. I'm so honored to be able to participate in any way I can. 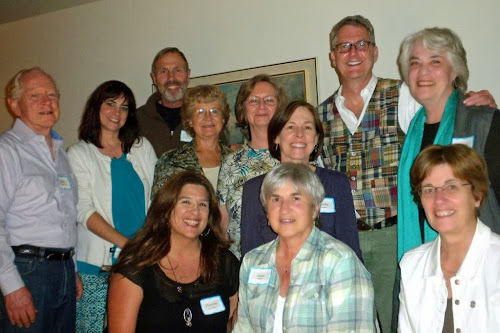 They did a write-up of the committee on the (wonderful) blog today. Some of my fondest memories are of going to see the basketball exhibitions of the Harlem Globetrotters with Grampa. I remember he’d always share that he once played against them, so I asked about that recently. In 1936, a year after he graduated from high school, Grampa (Pierre Conner) played for the Midland, South Dakota town basketball team. The Harlem Globetrotters would travel and play against all the town teams in the area. Grampa was a guard and his opposing guard could hold the whole ball in one hand and moved very fast. And I know he loved it! The Globetrotters were founded in 1927 with men from Chicago. They actually didn’t play their first game in Harlem until 1968; they thought that the mystique of the “African-American” capital of Harlem would bring more business. By 1936, the same year that they played against Grampa, the Harlem Globetrotters had played over 1,000 games, one of which was against the Original Celtics, who walked off the court in the last two minutes of the game so as not to lose. In 1940, the Globetrotters, won the World Professional Basketball Tournament. The Globetrotters still come to play every year and every year it is in January when I am too poor to buy the now oh-so-expensive tickets. But one of these years, I will go back and see them again! 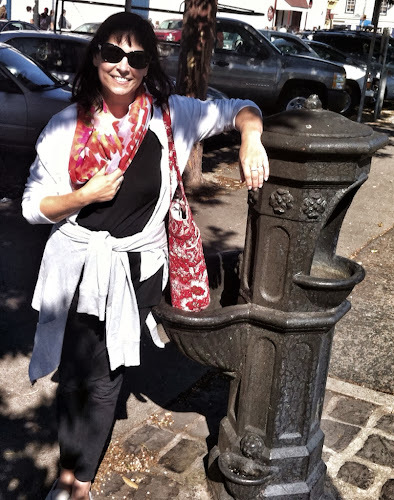 My mom and I took a trip to San Francisco today and visited the Mariani Fountain. When Vera Mariani was a young girl, she lived on the corner of 23rd and Columbia (now Florida) in San Francisco. Below her house at street level was her father’s hardware store, S. Mariani & Sons. The “S” stood for Stefano. The sons were Helvetio, Walter, Arnold, Stephen and Eugene, although Arnold did not make it to adulthood. Vera used to play around the house and hardware store, exploring and making up games. 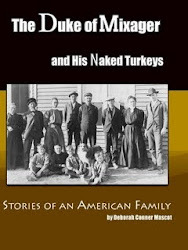 The siblings closest to her age were her brothers Steve and Gene. Once when my brother was terrorizing playing with me, I remember Vera telling me that her brothers played too rough for her, too, and that she often played alone. It was during one of these alone playing day that Vera opened the deep cupboard in the kitchen that housed the ironing board. I remember this cupboard. If you opened the door, you could fold down the ironing board and reveal shelves. As she opened this one day, she saw something on the top shelf. What was it? She retrieved the step stool and climbed up. Grasping the edge, she pulled it and then saw the well-recognized logo of Maskey’s Candies—a mask and a key. San Francisco possessed many favorable characteristics for the success of the candy industry: the cool summer climate is favorable for dipping chocolates. The deep water port facilitated importation of cocoa beans and sugar cane. Sugar was refined locally as early as 1857. The large population provided a good market for the product, which included not only chocolates, but candy sticks, licorice, sugar plums, lollipops, Turkish delight, ribbon candy, and taffy. In the 1887 Langley’s San Francisco City Directory, Maskey’s was first listed as a “manufacturer of fine candies.” (From http://archive.org/details/crockerlangleysa1897sanf). They are no longer in business, but the location of the factory and store still stands at 48-52 Kearny Street. When seeing that mask and key logo, young Vera must have had a jolt of excitement, a Pavlovian response. Candy! Right there! She opened the carton and found that it was, in fact, a box full of chocolates. Of course no one would miss one tiny small piece. 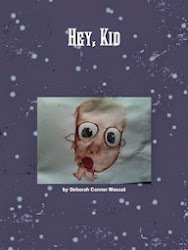 She plopped it in her mouth, savoring the delicious chocolate while she put the step stool and ironing board away. A week or so later, she wondered if the box was still there. She repeated her adventure and found it was the same box with the one missing chocolate. Surely it had been forgotten. But if she were to point it out, she’d have to share with her siblings. Best to keep this to herself, she likely thought, as she popped another chocolate. This continued a few times, each visit emptying the box by one chocolate. On another note, outings with Father were very treasured. 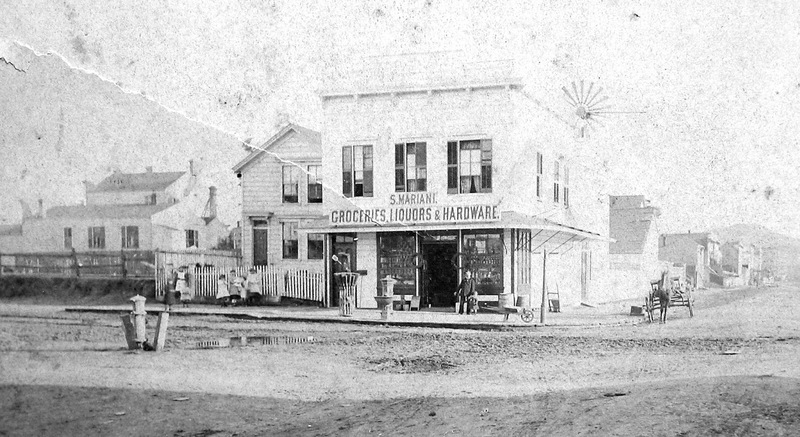 He was a busy hardware man and had sons to teach the business to and customers to care for. So one day, when Stefano asked Vera to come along with him for a visit with his very best customer, she was excited. They rode the buggy over and upon reaching the door, Stefano pulled out a box of Maskey’s chocolates for presentation to the customer. “How lovely of you to bring such fine chocolates,” said the customer. Stefano bowed slightly in deference and with a touch of pride. Meanwhile, little Vera stood next to him, shivering in horror and fear. It was THE box. The half emptied box of Maskey’s chocolates! She feared a whipping when she confessed to Father, but instead just got lectured all the way home. The part of this story that Louise told me that makes me the saddest is that I will never get to taste a Maskey’s chocolate. 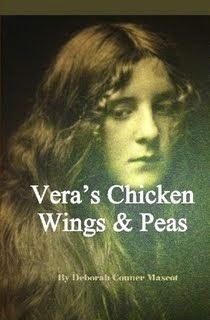 If I did, I know I’d taste it with the taste buds and excitement of the eyes of young Vera. I might even sneak them from my own cabinet, just to experience that moment of hers. I tried to find a picture of the Maskey’s logo online, but couldn’t locate it. If anyone has it to share, I’d love to see! Note: The Mariani family is not my blood family, but there are not many left of the Marianis. I have deep roots with the Marianis with my great grandfather and father both being caretakers on their ranch in Portola Valley, as well as a house in Portola Valley much later as I attended junior high and high school. Because of my love for my “Auntie Vera,” the genealogist in me didn’t want to leave them untraced. So I have been researching them blindly (i.e. only records, no ancestral stories) for about 3 years. Last week I had the opportunity to meet with Louise, the 99-year-old granddaughter of the immigrant Mariani, cousin to my Vera, who I remember well from my childhood. She supplied me with wonderful stories (including this one) and genealogy that I will be sharing both here and in the book I’m writing.